If you have kids, you can be fairly certain that at some point they are likely to stick something up their nose that doesn't belong there. It is normal for a child to explore his body, according to MedlinePlus. 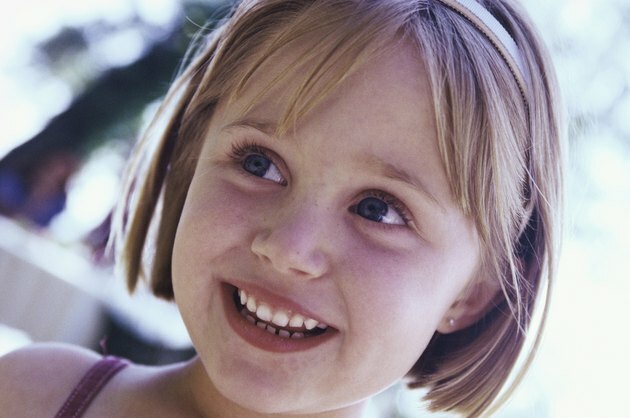 Children routinely place food, seeds, erasers, crayons and beads into their ears and noses. A bead stuck in a child's nose can be dangerous if not addressed quickly and in the right manner. Calm your child if she is upset or panicked. Have her breathe slowly through her mouth. Reassure her that everything will be fine. Look inside your child's nose. If you can see the bead and it is close to the surface, try using tweezers to gently remove it, advises the BabyCenter website. Ensure that the child remains still during the procedure. Hold your child's nostril that is not plugged, and have her blow gently if the bead is not too deeply embedded, suggests MedLinePlus. Do not ask her to blow hard, or more than a couple of times. Seek medical help immediately if you cannot see the bead. Do not try to extract the bead if it is deep inside your child's nostril. The doctor may have you place your mouth over his and blow a short, quick breath with his open nostril covered, or use small forceps or a suction machine to extract the bead. Do not stick cotton swabs or any other tools into his nose that may push the bead farther in.